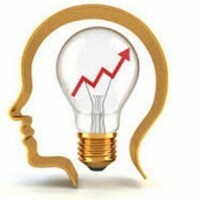 Ayojide.com Get Smart Solutions: How To Remember Anything ! How To Remember Anything ! As mentioned in the article previously posted here a person may train their memory by associating names with specific illustrations. This works just as well with written information. There are several key words or a key thought in each paragraph of printed matter that can be associated with an illogical or ridiculous illustration. It is much easier to remember and recall ridiculous associations than it is to recall normal and uneventful relationships. As you proceed through any text choose one or several Key words or key thoughts from each subject and relate the same to a ridiculous cartoon or illustration, yes cartoons are done by intelligent programmers. Actually "see" it in your minds eye as it relates to the key word or key thought. When you have occasion to remember a particular matter, the "picture" should automatically appear to you and the entire thought should be recalled. Be sure to SEE the ridiculous picture associated with the printed matter you wish to recall. As you proceed through a book, practice seeing a picture and relate it to the key words or the main thought of the written material. This method of learning should improve your ability to retain what you read. With sufficient "practice" using this method, many individuals will be able to develop a "photo-Type memory. The Key to this memory system is to "see" the "picture" in your "mind's eye". After you have practiced and mastered the system and are able to get instant flashback recall you should be able to read most any text material and visualize ridiculous pictures to associate with the thoughts expressed in the printed materials. We suggest you prove this system to yourself. As you read the first several pages of information, "see" a picture related to the words or thought. It may be rather difficult to "see" at first but by constant effort and concentration amazing progress can be made. When you have seen the picture, just go on reading the following subject matter and repeat the process. Don't be concerned that you will forget the prior subjects! They should remain imprinted on your mind and recalled later, instantaneously and clearly. After you have read several pages, recall the first few "mind-pictures". After you have mastered this learning system, it should be easy to file various programs away in your memory and recall them as needed to progress in your search for success.